The Internet world is a very dynamic space for everybody. Each day, more people are discovering new ways to earn extra money or income. Every day, more opportunities are opening and waiting for the right people to buy and sell different products and services. The opportunities are limitless and, thus, Internet marketing has become one of the most popular tools to create brand awareness and development. 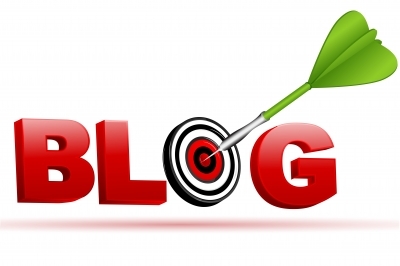 In particular, blog advertising is the latest method to create awareness and generate traffic to a site or blog. Pay per click – Companies pay bloggers each time somebody click on the ads on the blog. Pay per impression – Bloggers are paid every time the ad is seen on their page. Pay per action – Companies or advertisers pay blog owners when a person clicks the ad and makes a follow up action such as a purchase of product or service engagement. On the side of the blogger or writer, it is more exciting way to hone writing skills and earn at the same time. There are several methods which you can participate on blog advertising; article writing, product reviews, site reviews, posting comments, and any other form of writing activities that help generate traffic and increase web popularity for companies and advertisers. Both advertisers and bloggers should be conscious of the elements that are needed for a successful blog advertising. Blog Characteristics – Advertisers should always look into the credibility and integrity of the blog. Bloggers on the other hand should be able to maintain the blog full time and not just after a spur of the moment decision. Both parties should take note of fresh updates about the product; bloggers must be able to explain why the blog is relevant to the promotional activities of the advertiser and vice versa. Target Market – Each blogger knows that he or she had a specific audience in mind when they started putting up the blog. Blog writers must be able to identify who are they writing for and what are their characteristics. Advertisers on the other hand are always placing serious priority over demographics, thus, before they place an ad or hire blogsters, they always want to know if the blog readers or audience fit their desired niche of customers. Ad Rates – It is wise to know about the rates involve. Companies or advertisers would want to know if they get value for their money based on statistics and traffic to the blog. Bloggers will have to consider justifiable rates based on what he can offer and the reach and exposure of his blog. Blog advertising is a simple promotional tool for advertiser with huge earning potential for their products or services. Bloggers can turn to it if they want more income added to their financial resources.